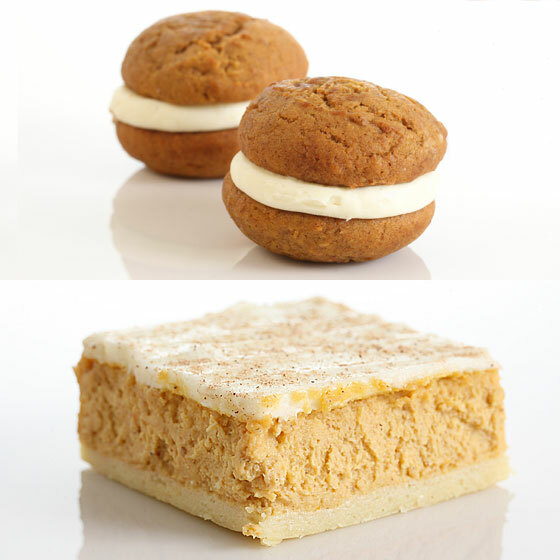 Baked Whoopie pies with vanilla cream cheese filling, $2.75 each (for a DIY option, try Baked’s whoopie pie mix, $16.95); pumpkin cheesecake bars with shortbread crust, spiced pumpkin filling, and cream cheese frosting, $2.75 each. 359 Van Brunt St., nr. Dikeman St., Red Hook, Brooklyn; 718-222-0345. 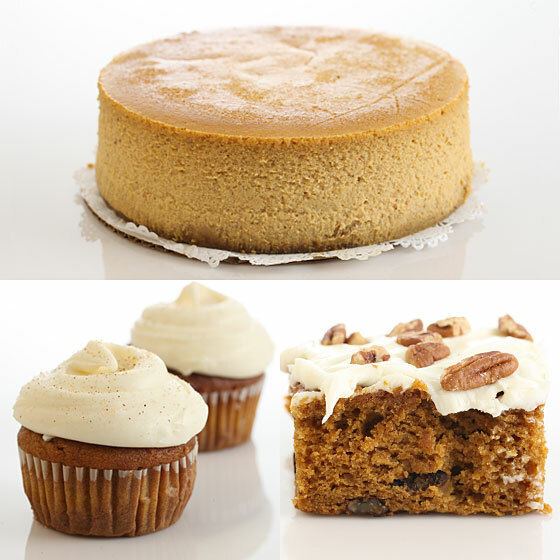 Billy’s Bakery Pumpkin cheesecake, $30; cinnamon spiced pumpkin cupcake with cream cheese frosting, $3; cinnamon spiced pumpkin bar with chopped pecans and cream cheese icing, $3.75. 184 Ninth Ave., nr. 21st St.; 212-647-9956. 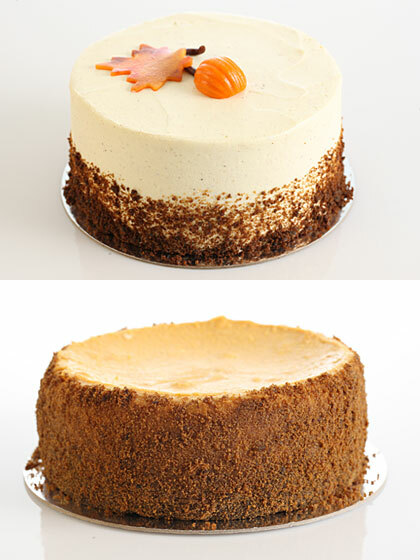 Black Hound Gingerbread cake with pumpkin mousse and spiced buttercream (top), $28.50 for six-inch, $57 for nine-inch, $79 for ten-inch; pumpkin cheesecake with gingerbread-cookie crust (bottom), $22.50 for six-inch, $38 for nine-inch. 170 Second Ave., nr. 11th St.; 212-979-9505. 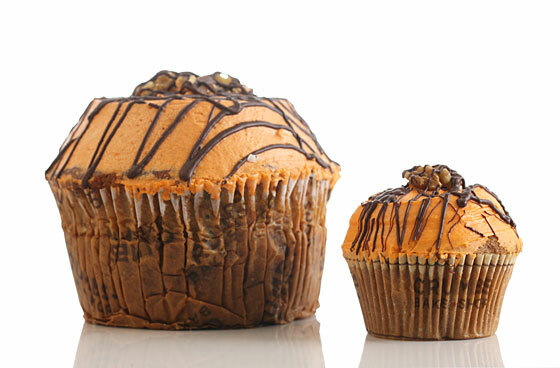 Crumbs Colossal pumpkin cupcake filled with raisins and walnuts, topped with pumpkin cream cheese frosting, $35; regular pumpkin cupcake, $3.50. 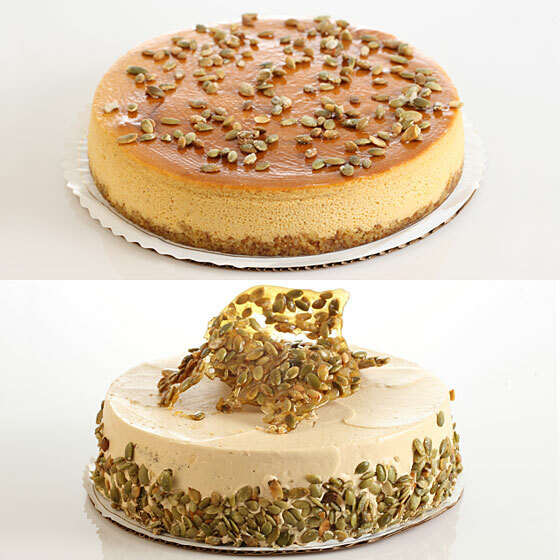 Financier Patisserie Individual pumpkin cheescakes topped with whipped cream and almond slices, $4.25; pumpkin cheescake with cookie crust, $25.50 for seven-inch, $38.50 for nine-inch. 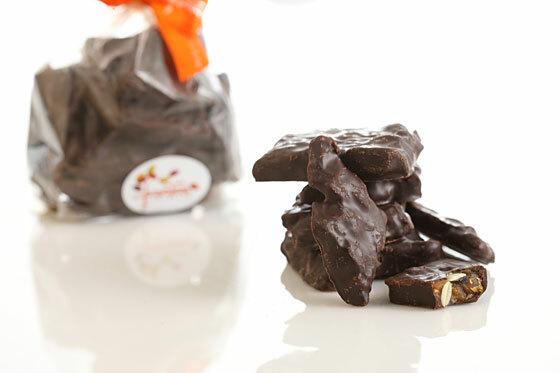 Jacques Torres Chocolate-covered pumpkin-seed brittle, $7.50. 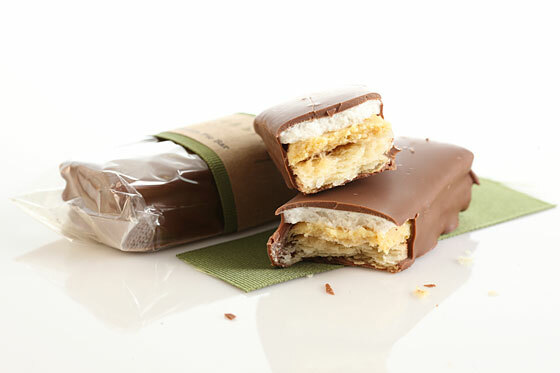 Liddabit Sweets Chocolate-covered pumpkin pie bar, $7 each. 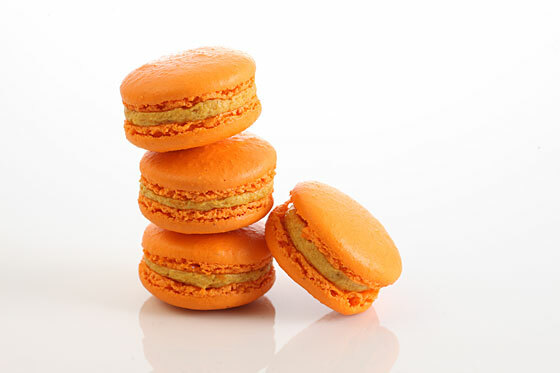 La Maison du Macaron Pumpkin macarons, $2.50 each. 132 W. 23rd St., nr. 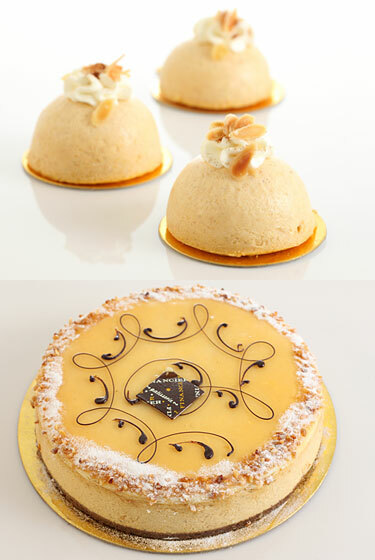 Sixth Ave.; 212-243-2757. 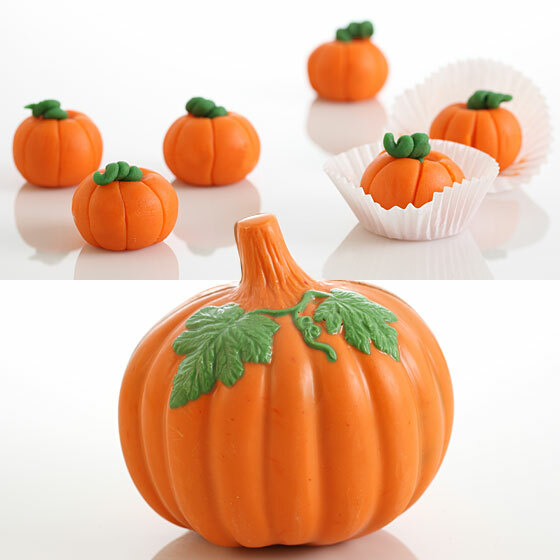 Martine’s Chocolates Marzipan pumpkins (top), $3.35 each; large chocolate pumpkin, $42.25 (available in dark, milk, and white chocolate; must be ordered at least one week in advance). 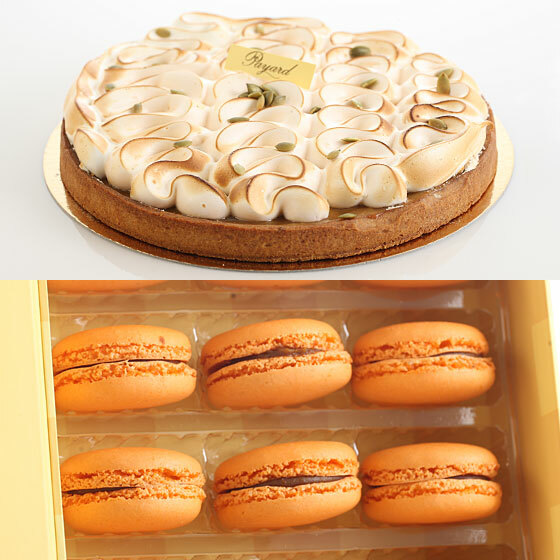 François Payard Bakery Pumpkin tart with orange-blossom meringue (top), $36 for six servings, $48 for eight servings; pumpkin macarons with spiced pumpkin filling, $50 for 35. 116 W. Houston St., nr. Sullivan St.; 212-995-0888. 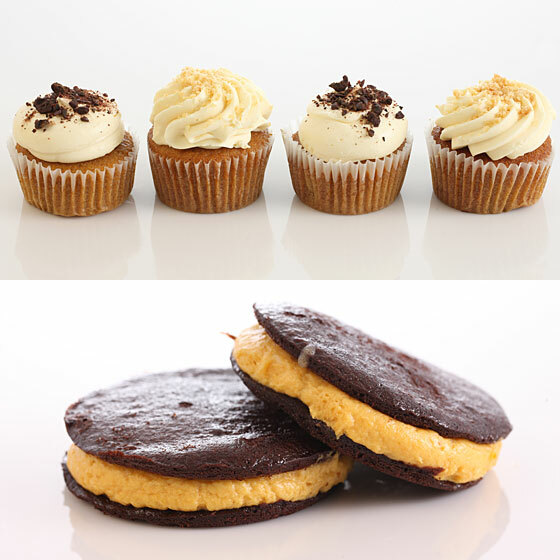 Robicelli’s Pumpkin spice latte cupcake with espresso marscapone buttercream and crushed fall-spiced chocolate-covered espresso beans (far left), $2.99; pumpkin pie cupcake with crushed pie dough (far right), $2.99; pumpkin whoopie pie, $2.99. DeKalb Market, 138 Willoughby St., nr. Flatbush Ave., Downtown Brooklyn; 917-509-6048. 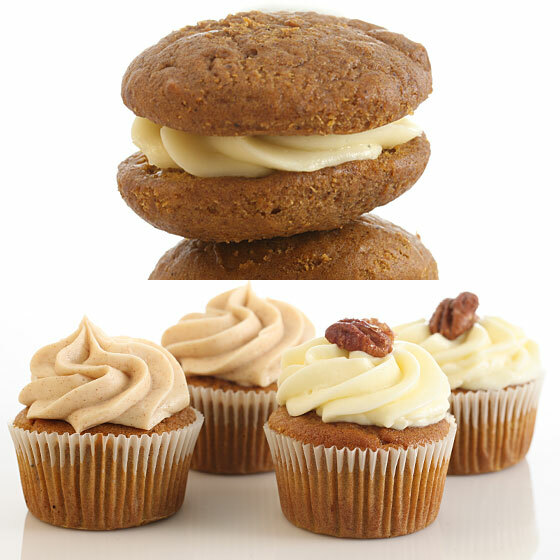 Tribeca Treats Pumpkin whoopie pies with marshmallow filling, $1.75 each; pumpkin cupcakes with cinnamon buttercream (bottom, left), $2; pumpkin pecan cupcakes with cream cheese icing and topped with pecan praline (bottom, right), $2. 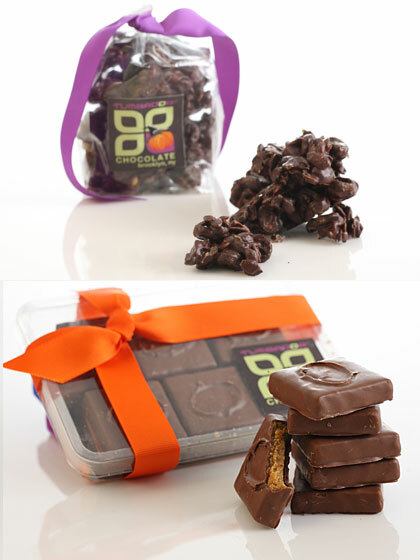 Tumbador Chocolate Cranberry and mole-spiced pumpkin-seed rocher(top), $28 per pound; pumpkin caramels (bottom), twelve for $24. 34 34th St., nr. Second Ave., Sunset Park, Brooklyn; 718-788-0200. 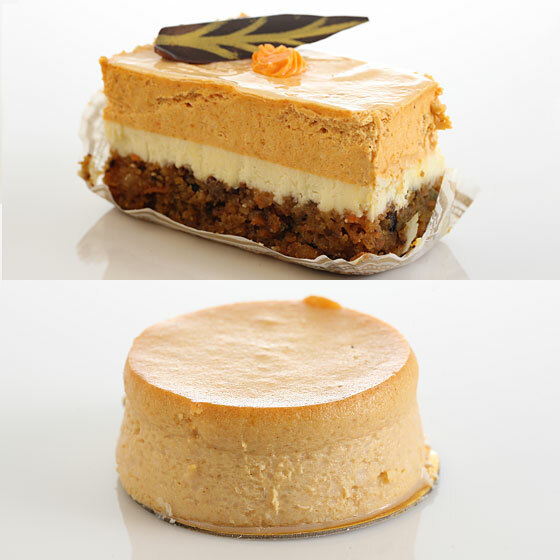 Veniero’s Individual pumpkin trifle with carrot cake base, $4.25; individual pumpkin cheesecake, $3.75. 342 E. 11th St., nr. 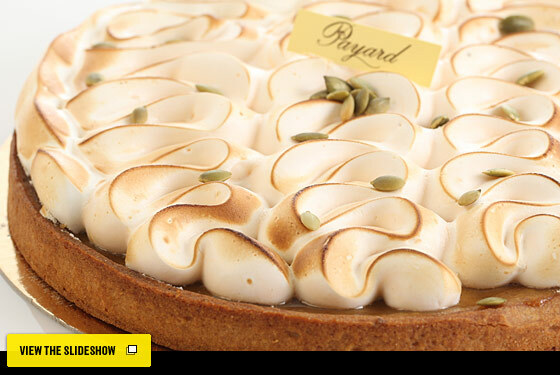 First Ave.; 212-674-7070. 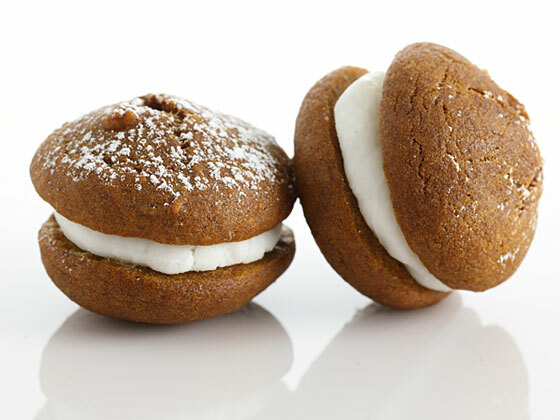 David Burke Kitchen Mini pumpkin whoopie pies, $15 for eight. 23 Grand St., at Sixth Ave.; 212-201-9119.